Amaji says yours wound will be fine by tomorrow, go to sleep now, everybody wishes good night and sleeps, Kulfi also does so. Kulfi covers herself with blanket and says I’m missing you Baba but you don’t worry about me, all are good here, but it’s new here so I’m finding it weird, god knows when will I get my Walkman and I can hear you sing, Kulfi wakes up scared. Kulfi drops glasses while having water and sees no girl woke up and removes blankets and sees there’s no one in the room, and says where did everyone go, Kulfi walks out to look for everyone,Kulfi says I’m so scared if wish Baba was here, she hears some voices. Everyone together and sharing food they stole,Kulfi follows the voices. Sikander watching cctv footage for clues to find kulfi. Kulfi gets inside the room and sees no one but food on the bed, and says there’s food here but where are others, ama walks in. Sikander finds the details from where car was booked, and looks for details on internet. Ama walks to kulfi and says I hate thief’s and still you stole, you will be punished 164, Kulfi says I’m not lying, I know stealing is bad, Ama says don’t argue you will be punished now. Ama wakes rajan,sleeping in kitchen and says today whole kitchen will be cleaned by 164, go prove that you will agree what your guru says, I want it all clean even if you have to be awake all night, Rajan very happy and says thank you, clean everything and leaves, Kulfi says why does boarding school give such punishments, Rajan finds it odd but runs away to clean Ama room. Kulfi says I will do everything, my baba sent me here because it’s a good place, I’m his lioness. Sikander in balcony says kulfi your baba is with you and I’ll find you soon, I just pray your happy where you are, I wish you were here, I would hug you so tight. Kulfi starts working. Sikander sings, missing kulfi.kulfi very tired,and falls asleep. Sikander visits taxi service and asks who booked it and where, owner says Abdul left yesterday, a man comes in and says I found stuff this in Abdul’s taxi, Sikander finds kulfis hair tie and toll receipt. Kulfi wakes up and says oh god I slept and the whole work is remaining but I can’t loose hope like baba said and starts working again, she cleans all the vessels. And whole kitchen. Sikander walks to lovely and asks her for her phone, Lovely says no, sikander snatches it, and asks for password, Lovely asks why, sikander says if you don’t you have no idea what I will do, lovely unlocks the phone, sikander says wow deleted all your logs but don’t worry it’s not easy to stop me. Everyone sees kulfi sing and clean the whole kitchen and are surprised, Ama meditating gets disturbed. Pre cap : Lovely says Sikander you are all about kulfi, don’t you care amyra is unwell. Sikander says shut up Kulfi is coming back and that’s final. Kulfi asks Rajan for food, Ama says give her, Rajan gives her loads of food,Ama says you won’t leave this place till you finish it all. 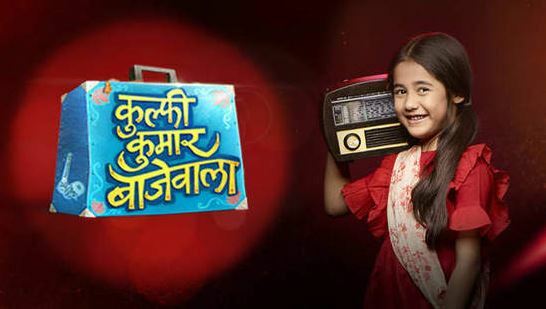 The post Kulfi Kumar Bajewala 28th February 2019 Written Episode Update Sikander finds a clue. appeared first on Telly Updates.